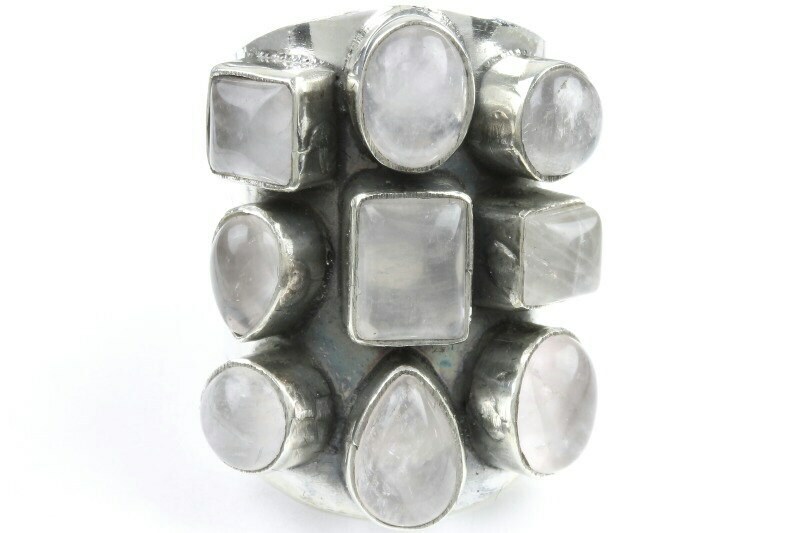 Large powerful piece with a series of rose quartz stones cut in various shapes. 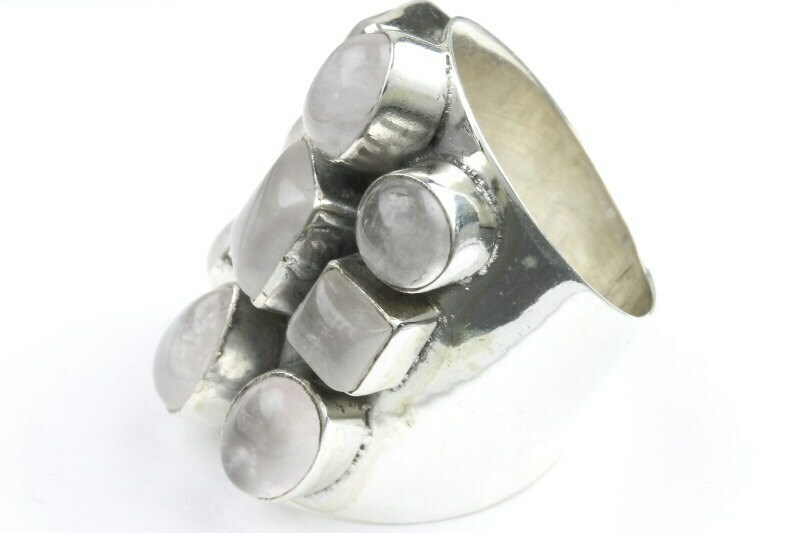 Strong sterling silver setting encases each stone. Amazing statement piece.